Sigh . . . I really want to enjoy this book. Don't get me wrong, I finished it. But that is solely because the title had werewolf in it. If you know anything about me, it's that I have a thing with supernatural monsters: werewolves/wolfshifters being my number 1. Still, I did not like the book. I was greatly disappointed by the time the story ended. The premise drew me in but that was it. There was like this vague sense that the Austin was a werewolf and that was it. I think if Davis fleshed out the particular aspect of the story it would have been more appealing. When you say werewolf -- especially when you have the word werewolf in the title -- I expect werewolves, gosh darn it! Alas, here we are with this awful review. As for the protagonist, Shelby, her character was okay. I didn't feel a strong connection to her and nothing particularly stuck out about her. She was an average Jane for me. 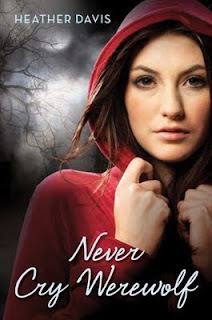 All in all, please don't let my lackluster review stop you from considering Never Cry Werewolf. If you are wiling to take the risk, have at it. Maybe you'll find some saving grace for the story.